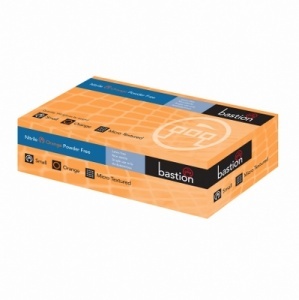 The Bastion Nitrile Powder Free Micro Textured Orange Gloves BNG681X are disposable non sterile gloves which arrive in a box of 100 gloves. 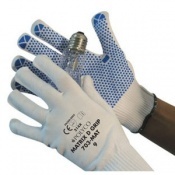 This box of gloves arrives in the colour orange which allows the gloves to be very visible in difficult environments. The Bastion Nitrile Powder Free Micro Textured Orange Gloves BNG681X are ideal for a range of duties that require a high level of sensitivity. 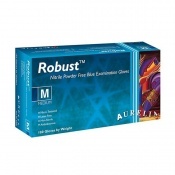 These gloves contain nitrile and are a great alternative to those who may be allergic to latex. 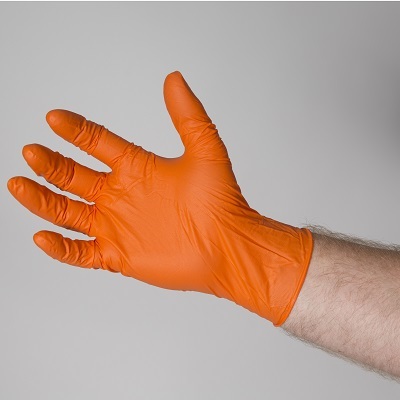 The Bastion Nitrile Powder Free Micro Textured Orange Gloves BNG681X arrive in a pack of 100 enabling you to carry out your tasks without worrying about running short of hand protection.